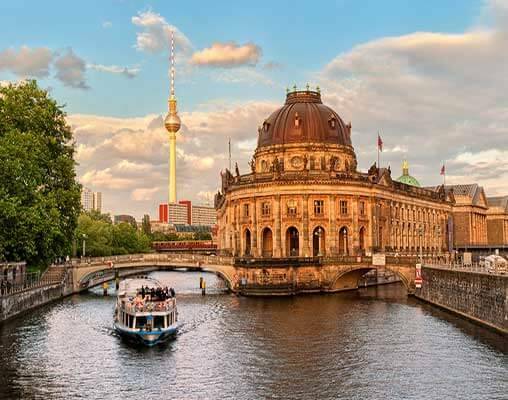 From castles and cathedrals to famed bridges and amazing sites that recall the past, this tour provides a rich opportunity to delve deep into Central Europe. The journey begins in Germany, where a quick overnight in Cologne allows us to get our toes wet in the culture of the region. Using a mixture of high-speed and scenic train routes, we move on to explore the intricacies of Vienna, Budapest, Prague and Berlin. In each city, we enjoy a thoughtful mixture of scheduled tours and time for independent exploration - a combination that allows each guest to get the most of the experience. 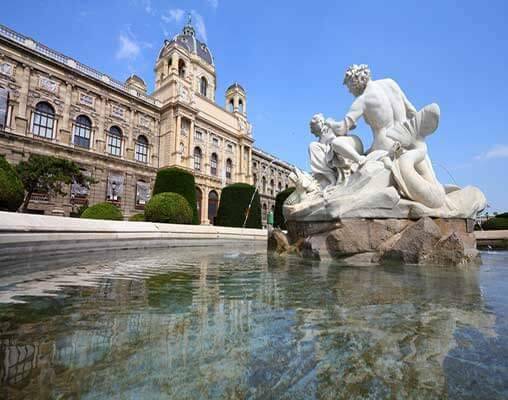 See the sites, feel the history and enjoy exciting extras along the way, including a dinner cruise along the Danube, as you make your way through these former Habsburg and Prussian cities. Discover the wonderful Children's Railway in Budapest on this excellent tour. Known as the 'Gyermekvasút', this beautifully scenic line opened in 1948, and is run by Hungarian schoolchildren between the ages of 10 and 14, who consider working on the line to be a great honour. This line takes us through some beautiful areas of woodland in the hills above Buda, and presents some magnificent views of the city. 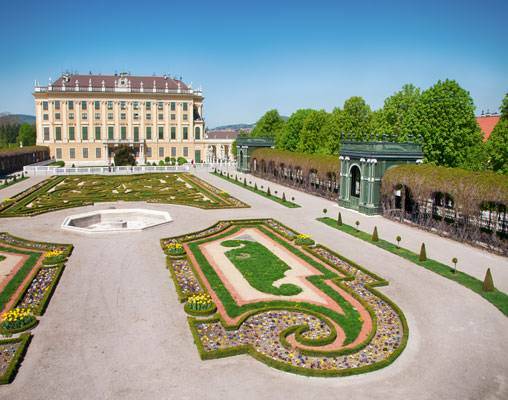 Situated a stone's throw away from beautiful Schloss Belvedere and close to many public transport links, the 4-Star Imperial Riding School Renaissance Vienna Hotel is our base whilst in Vienna. The hotel offers some excellent amenities, including a swimming pool, a sauna, a solarium, and a fitness center. There are also a selection of fine restaurants and bars, serving anything a fine selection of traditional Austrian cuisine. There is also a seasonal restaurant, the City Garden, which offers delicious barbeque. The rooms are pleasantly decorated in neutral colors, and come well equipped with air-conditioning, an en-suite bathroom, an in-room safe, a hair dryer, a television, and complimentary Wi-Fi. The 4-Star Courtyard by Marriott Flora is located in the upmarket Vinohrady area of Prague. 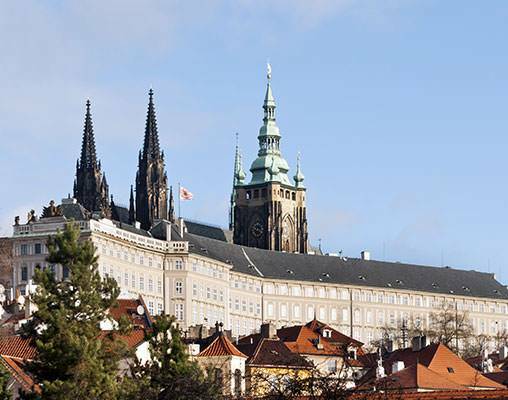 The hotel is located 400 metres from Flora Metro station from where Wenceslas Square is a 5 minute journey away. There is also a tram stop 300 metres from the hotel from where direct trams leave to the city centre. 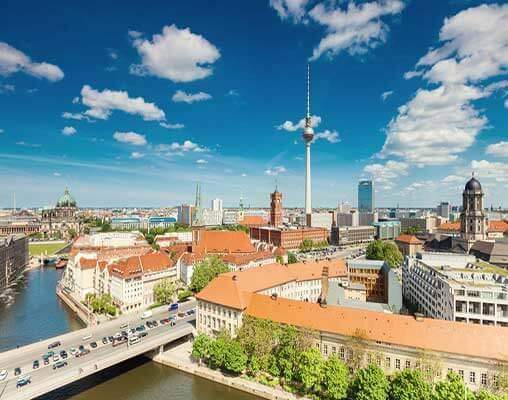 The 4-Star Maritim Hotel Berlin is situated close to Potzdamer Platz and not far from all the main sights of central Berlin, such as the Brandenburg Gate and the Reichstag. Designed in the style of the 'golden 20's' the hotel marries classic ambience with modern comforts. Facilities include a restaurant, bar, swimming pool, saunas, solarium and fitness room. The rooms come with individual climate control, a telephone, television, minibar and a hairdryer. 1st May 2019 $3,935 Please call for availability. Enter your details below if you would like to be notified when 2020 dates and prices are available for Grand Imperial Cities. Prices are correct at the time of publication, however are subject to change at time of booking. Prices are land-only, per person based on double occupancy. We offer Standard Class and First Class rail options for departures on this tour. Please ask a rail specialist for details.